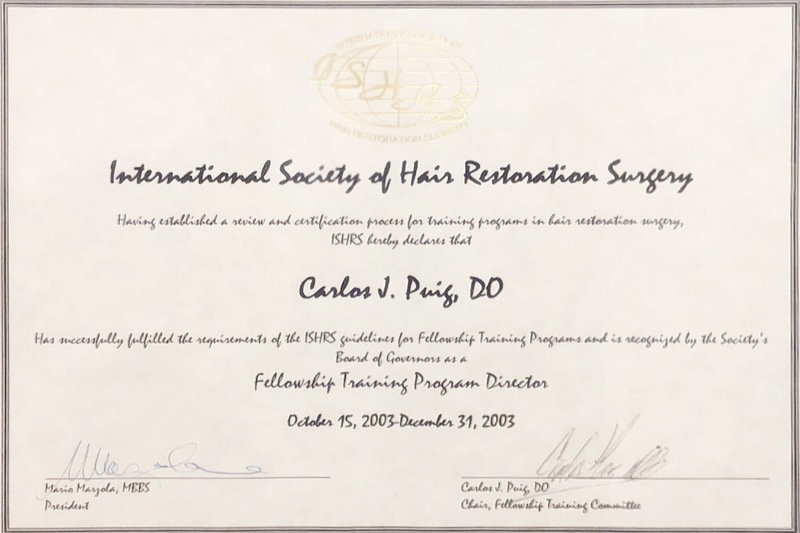 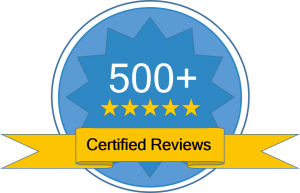 Dr. Puig is a founding Member of the International Society of Hair Restoration Surgery. 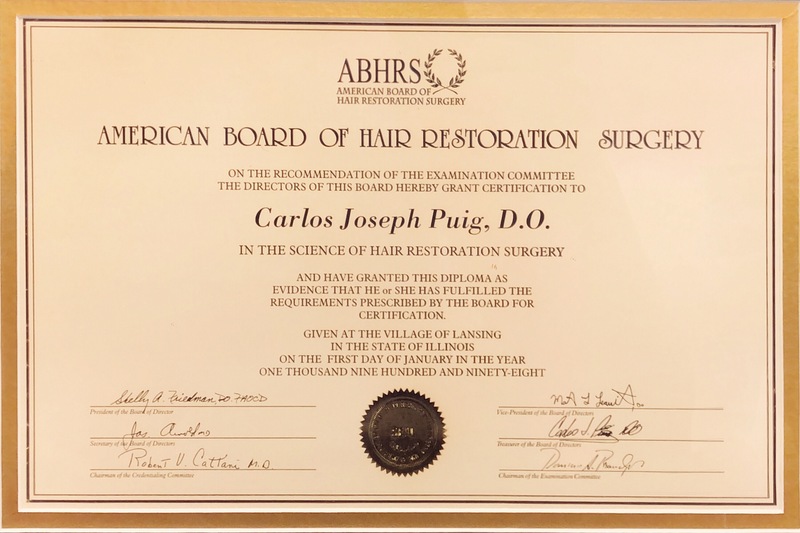 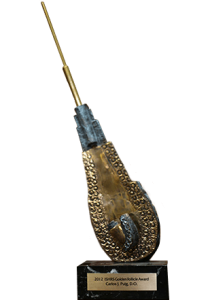 Dr. Puig has over 48 years of expertise and experience in hair loss restoration. 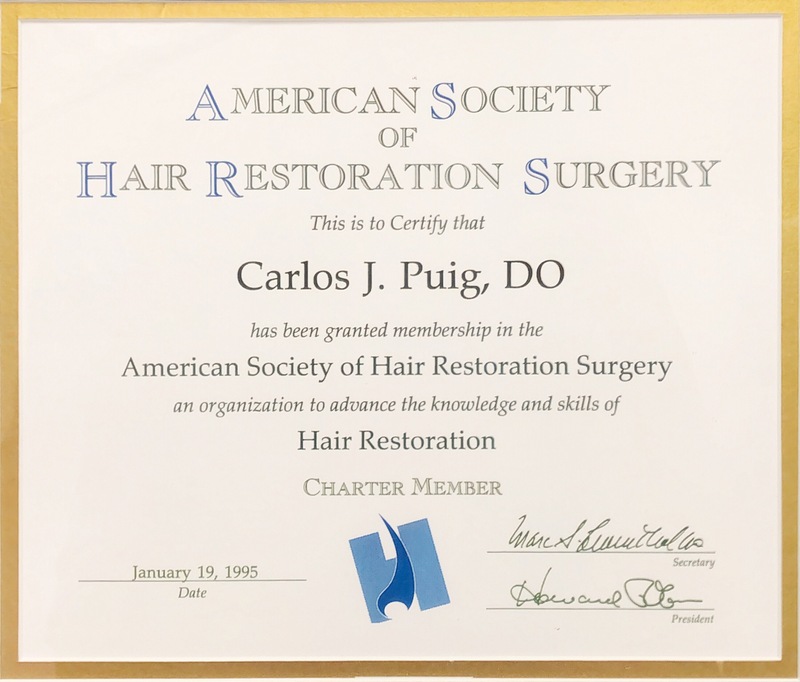 Dr. Puig and his team are dedicated to serving you and giving you the treatment you deserve. 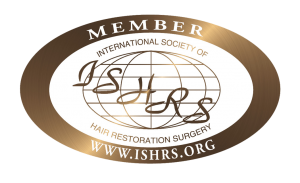 Here at IHI the latest techniques and methods are used to ensure the best results. 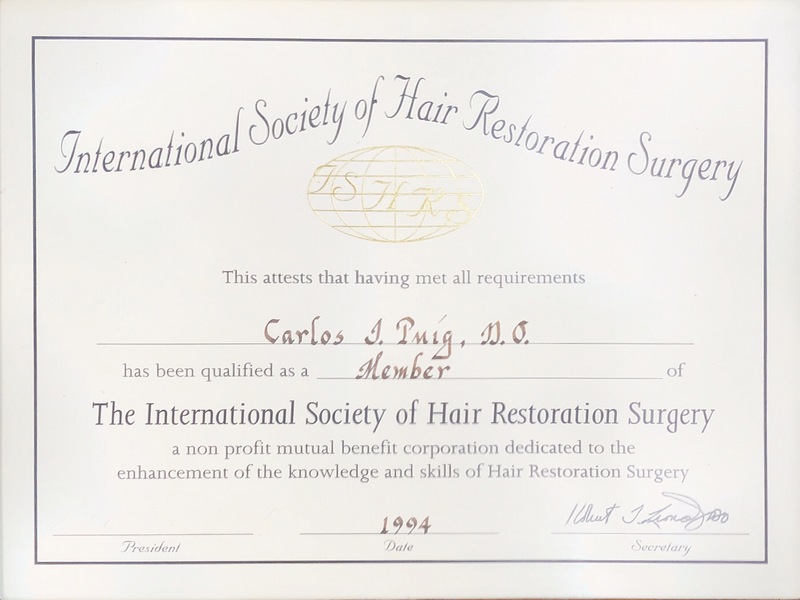 With over 25 published works he has pushed the field of hair restoration forward significantly.